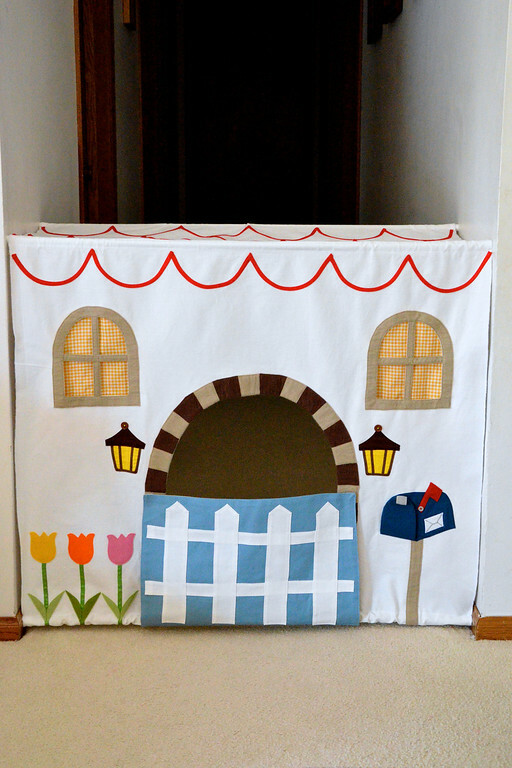 Do you know those doorway puppet theaters that were all the rage a couple of years ago? Well, I thought they were ingenious, but I also thought it was time to move beyond the hanging, two-dimensional idea to the realm of the three-dimensional shapeshifting tent houses. This is Kate's birthday present. I decided, after making a round princess pavilion table tent and a little blue PVC-frame house, I needed a totally new structure on which to build the last of the trilogy. Come on in! or suspended over staircases for a faux loft feel. Not. Disclaimer: I wouldn't encourage obstructing stairways, of course, but I had to do this today to get decent lighting. So don't show your kids this photo, OK? The point of this multi-location photoshoot is to say that you don't need much to put up this house - unlike table tents and PVC frames and those blankets-over-chairs forts that my kids also love, all you need for this is two things between which tension rods can be wedged. 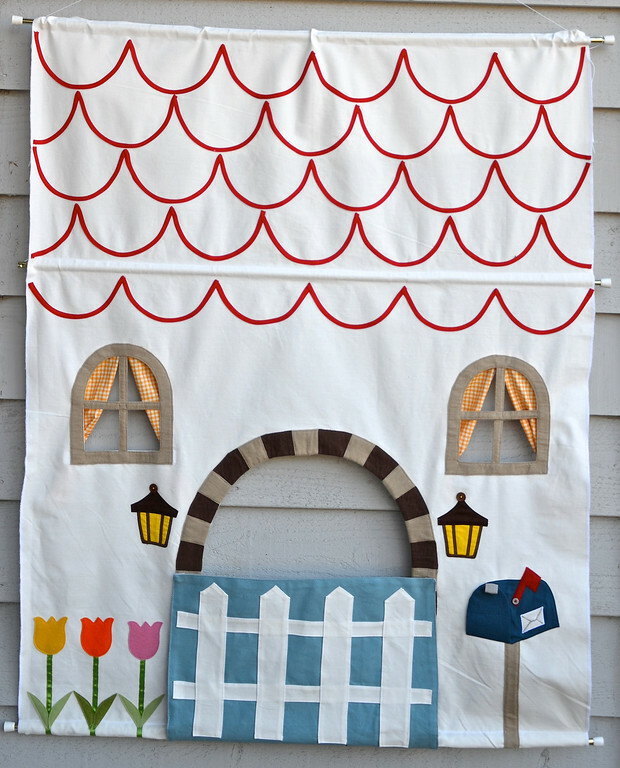 I also want to add that I chose to use just enough fabric for the front of the house, plus a little back roof overhang, because that's what 54" (the width) got me. If you used a longer piece of fabric than I did, and several more well-placed tension rods, you'd be able to make a full house, including the back. And then it would be so much fun for the kids to pick their own house shape each time they set it up, just by adjusting the relative positions of the rods. I'll walk you through the how-tos, but don't be disappointed with the lack of templates and dimensions. You can figure those out yourself, and in so doing, take just my idea and make a house that's truly your own. 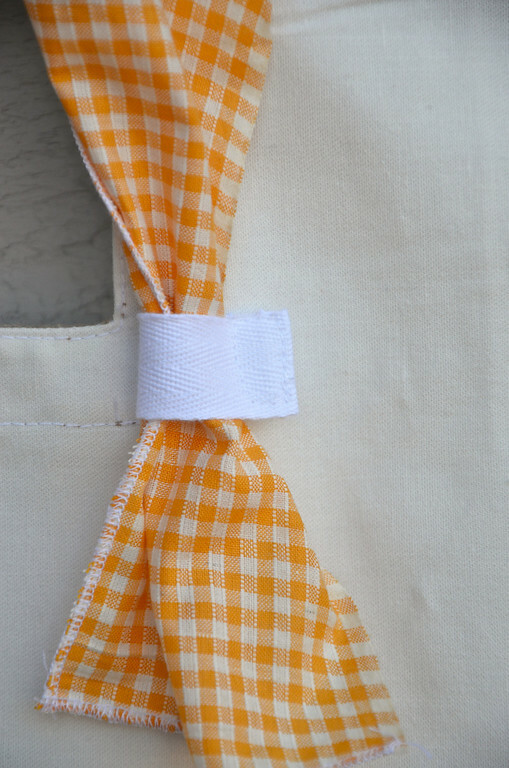 channels were sewn on the wrong side of the fabric for the tension rods. Choose where you want these channels to be and you have created the dimensions of the house. The particular channel for the roof apex was split into two to allow the hanging of light fixtures. As we said, with the tension rods, the roof can take on different shapes and heights. 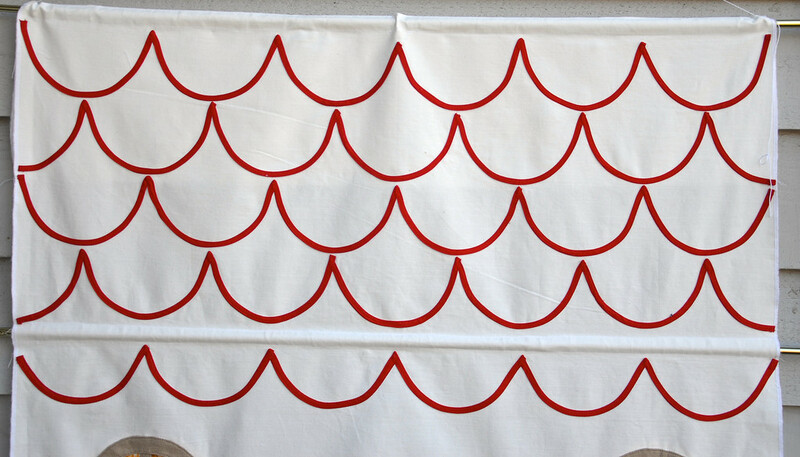 The shingles were bias tape (I made my own, since I needed about 7 yards) sewn into scalloped curves. 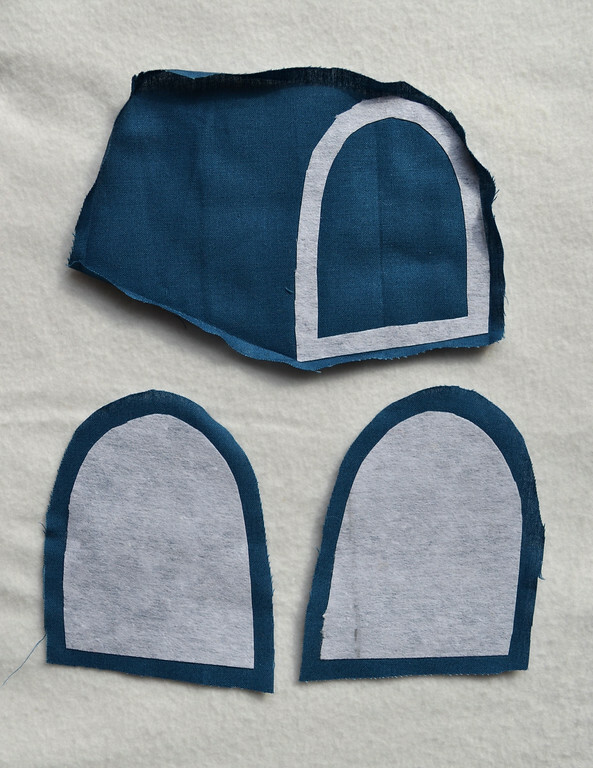 shaped with interfacing fused onto the wrong side. 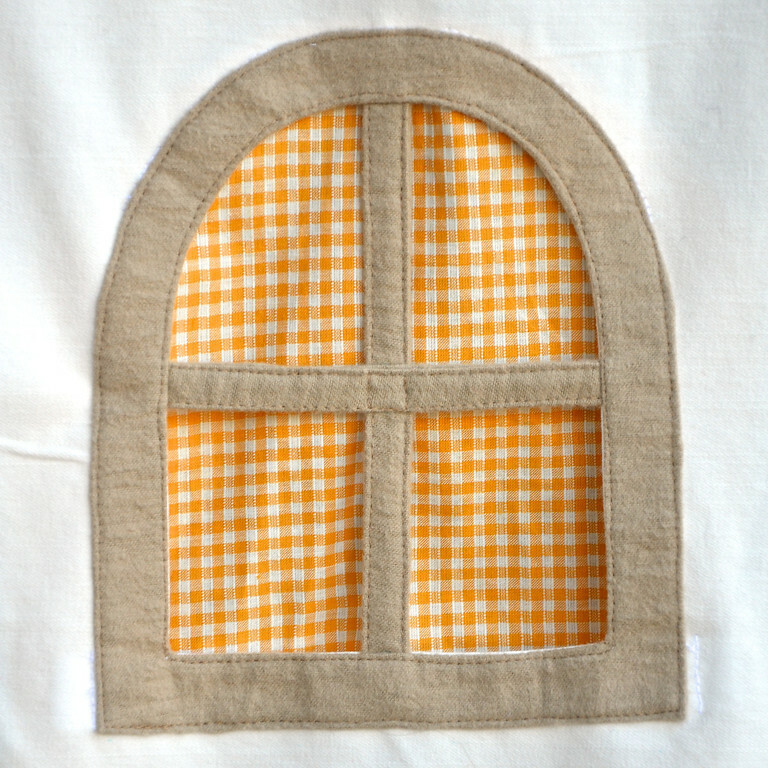 The door was also interfaced since I was using hopelessly floppy cotton. 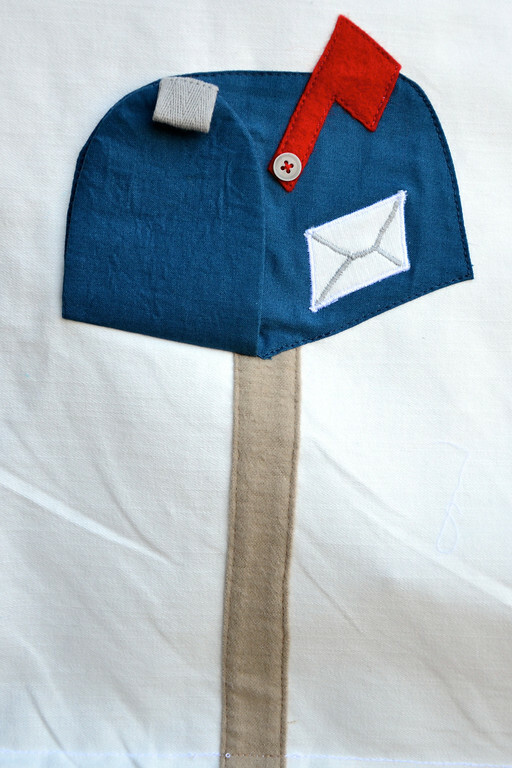 and the entire mailbox top-stitched down as an appliqué, with the door inserted into its bottom edge. 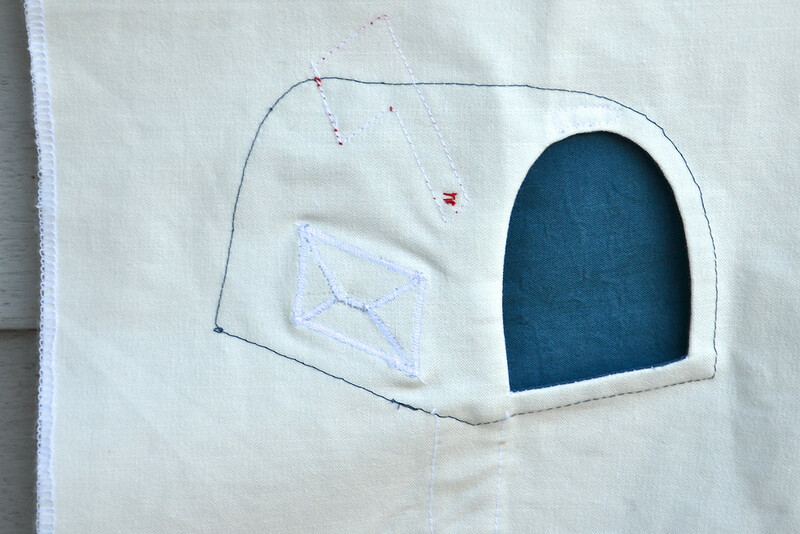 This is the wrong side of the house, with contrasting thread to show the top-stitched outline of the mailbox. and the flowers on the welcome doormat. 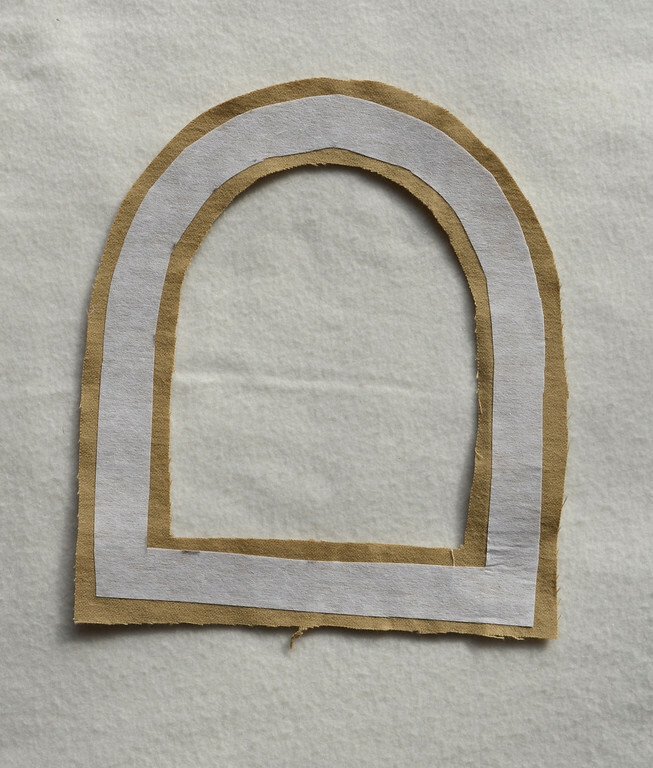 All fasteners (for the gate, mailbox, tiebacks) were hook-and-loop tape aka velcro. I didn't even consider ribbon because while pretty, they also frustrate small children who haven't yet learned to tie bows or knots. Also did you notice that I used zero print fabric? 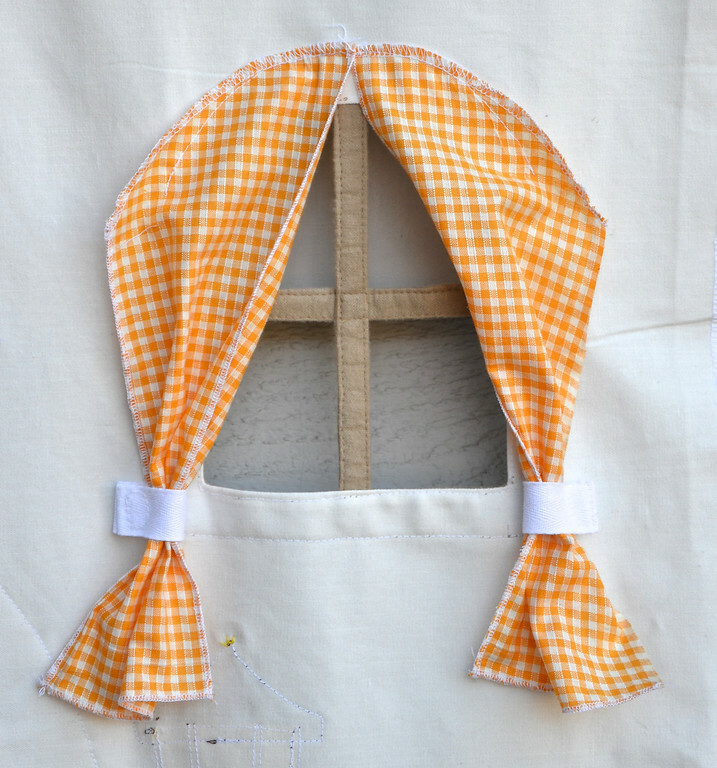 Even the gingham curtains are a sort of weave pattern. I was going for a Land of Nod look, see. 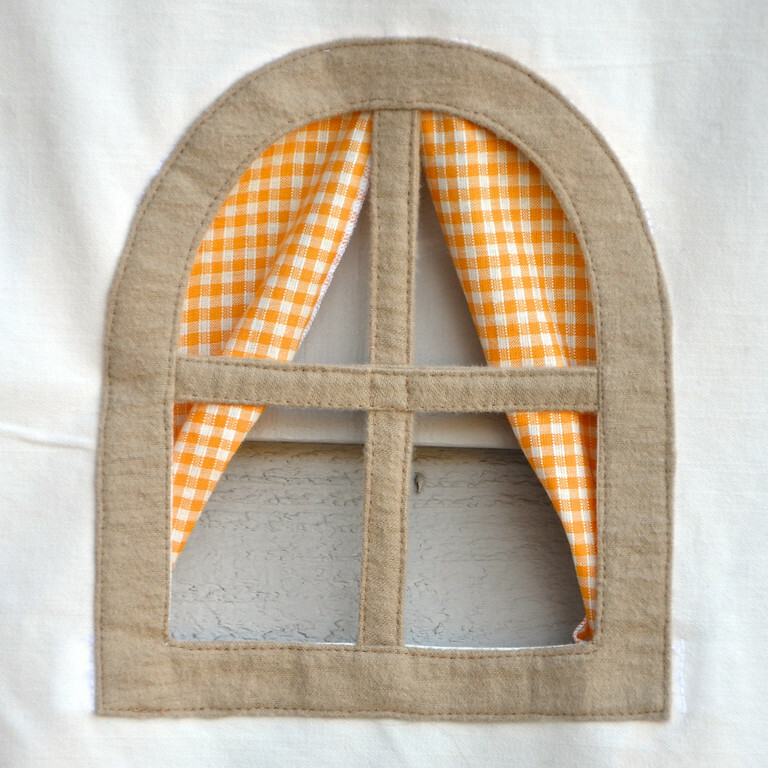 Or rather, it's what I would sew if LON employed me as part of their design team. Ahhhhh..... a person can dream. How long did it take me? Compared to the little blue house and the princess pavilion? Nothing. Milliseconds. 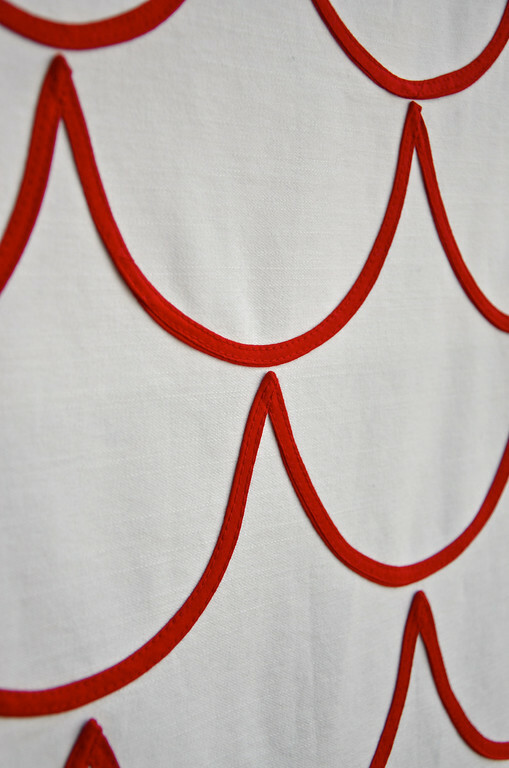 No piecing, no joining seams, no fitting - everything was simply embellishment on a flat piece of fabric. Also, I know it's fashionable these days to reveal the cost of one's projects, so I'll tell you - $3.51. That's what I paid for the yard of white "sportswear" twill fabric, anyway. The tension rods we already had, but you can buy them from Walmart (or any store with a home dec section, like Target) for under $3. All else came from my stash. I suppose it would probably cost more if I bothered to total up the various scraps, but who can be bothered? That's why we have stashes, right? So we can dig in and use up and feel like we got freebies? 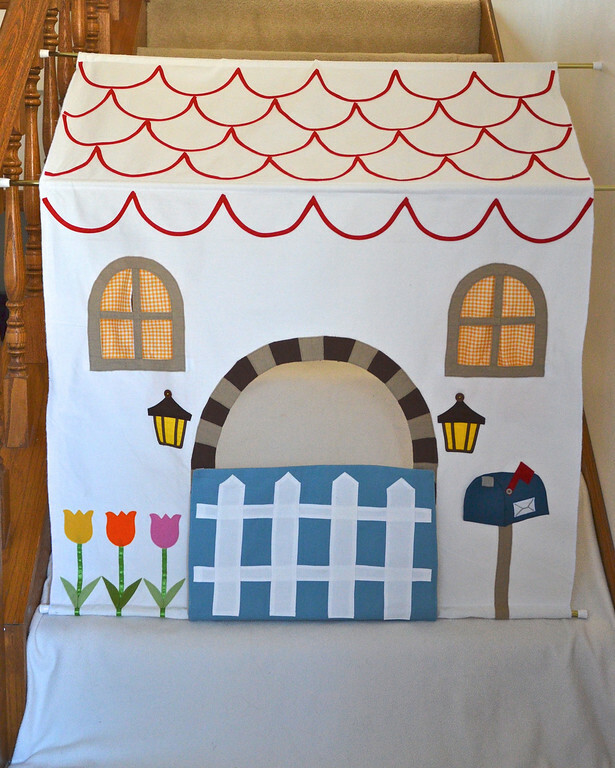 turned into a little house-in-our-hallway for Kate. She gets to see it in a fortnight on her birthday! three little girls and three little houses. This is just the most amazing idea ever!!! Thanks for sharing this. This is so wonderfully brilliant! 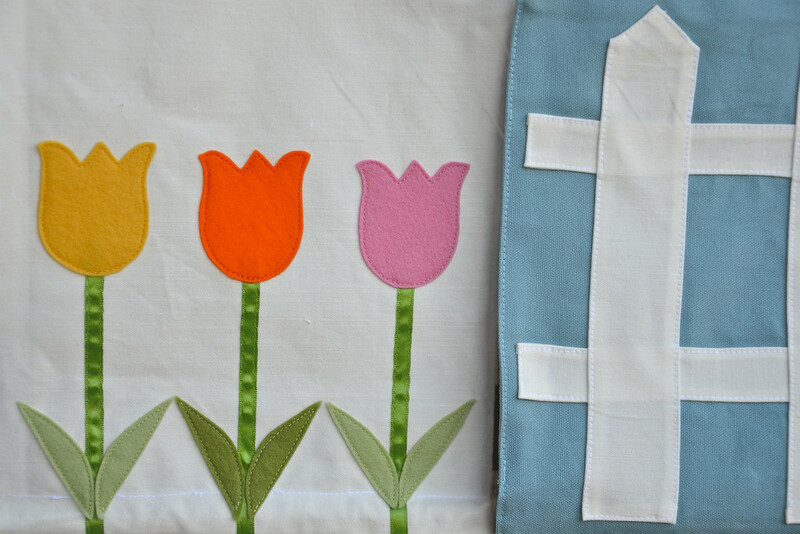 I hope to put one of these together for my little one very soon. Thanks so much for sharing! Wonderfully Adorable!!! I'm sure that these made 3 little girls very very happy. Great job! Lier you are a genius! 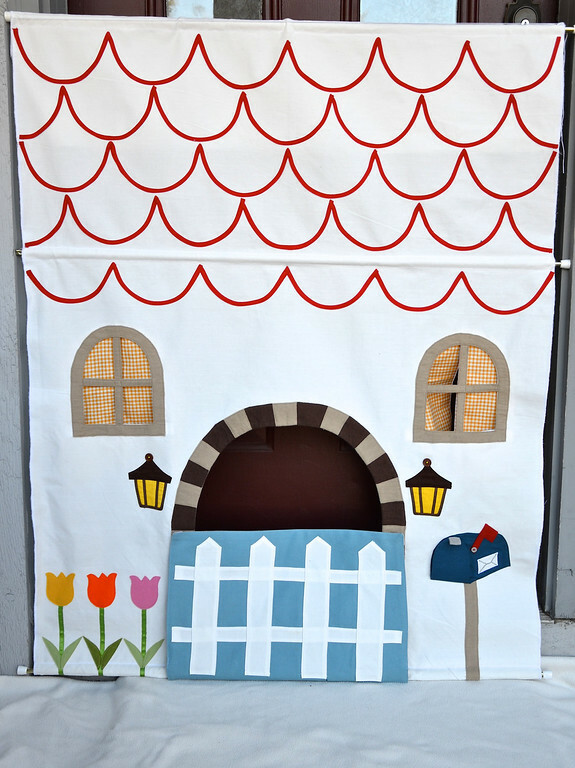 This would be a great take-along playhouse too! I've been having a good read of your blog now and again, and adore your projects and the gorgeous way in which you execute them. I'm also amazed at the sheer amount of the things you create! WOW, what a great idea!! so simple and yet so many hours of fun in there. Thanks for sharing. what a fantastic idea - especially for people without a lot of space to spare!! My children, who now are too old for this, would have LOVED it. I guess I'll save this idea for grandchildren in the future. You come up with such amazing ideas. Thanks so much for sharing. Wow, so cute! I can't even decide which detail is my favorite. I do love the shape of those sconces! I'd love to make one for my kids, but they're so rough and tumble I don't know that the tension rods would stand a chance. This is a brilliant idea! Though I'm realizing I don't actually have any hallways in my house... but now I'm thinking about ways to incorporate tension rods into the fort kits I've made. Thanks for the inspiration! This is absolutely ingenious. I'm not familiar with Land of Nod (maybe I should be!!) but seriously, they *should* employ you!! You come up with the best playthings!!! Thank you for your incredible inspiration. I just wish I had time to get sewing... my daughter is just over 3 months old, and I have a lot of ideas from you that I want to make for her!! Why are you so cool? I love this. I will make one, when time permits of course. I love Land of Nod. I want to move into their playrooms. That is just too cute of an idea I love it. Hello! I just started reading your blog recently. 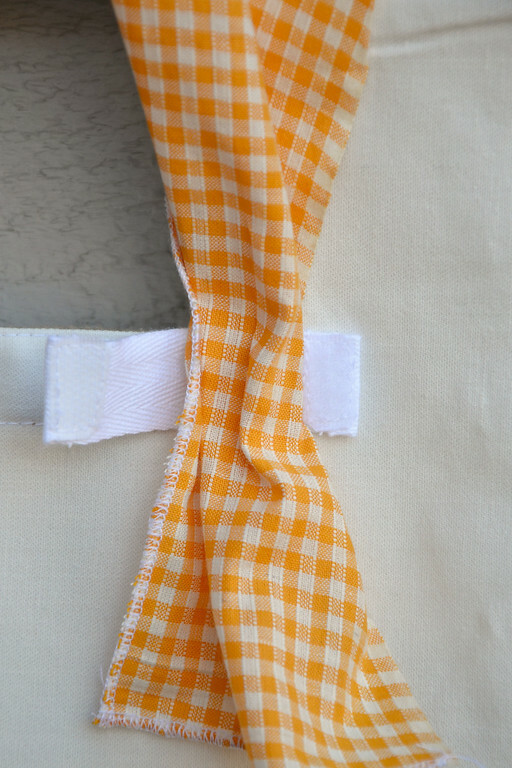 I very recently started sewing and found your blog while looking for tutorials for little girls' clothing. Thank you for all of the wonderful ideas you share. They are truly inspiring! You are just so amazingly creative and talented. 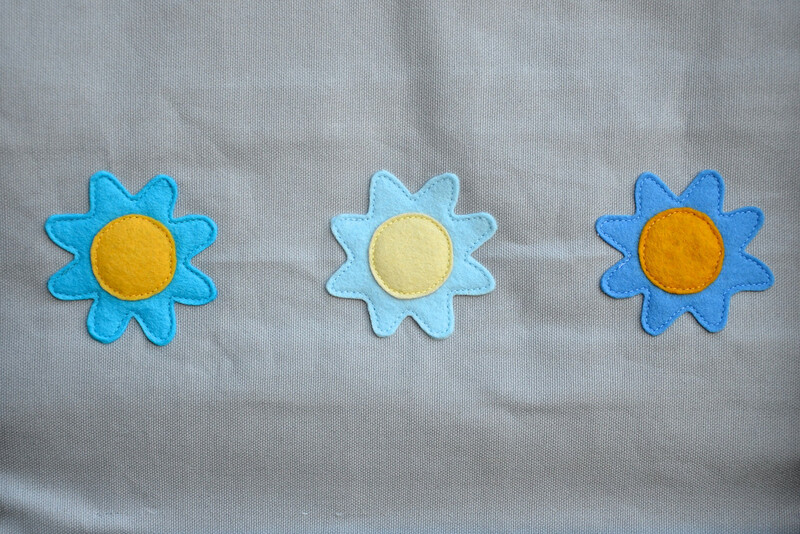 I hope someday I am half as good at sewing and creating. I am also drawn to your blog because my life situation mirrors yours in a way. I'm originally from the U.S. and now live in Japan with my Japanese husband and our two girls. I just thought I should stop lurking and let you know how much I respect and admire your work and look forward to each new post. Thank you! LOVE this! 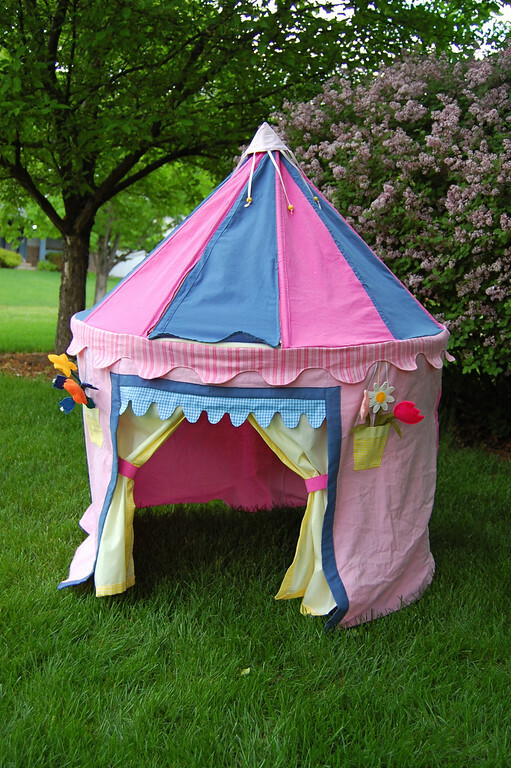 And so much more prettier than some of those pop up playthings in stores nowadays. Unfortunately, we do not have any wall to wall hallways in our house so I'll have to sit and think about this one. Thanks Lier! 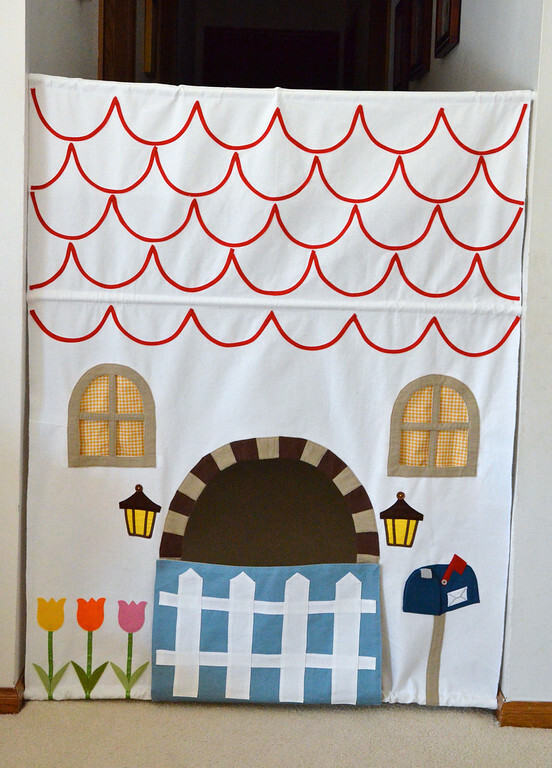 This is such a cool idea (just found through pinterest) and I'm thinking I would use it in my little's bedroom doorframe. Surely that would work out right as long as the fabric and tensions rods fit that space? Maybe have to alter the width however. Just found this cool idea through pinterest. 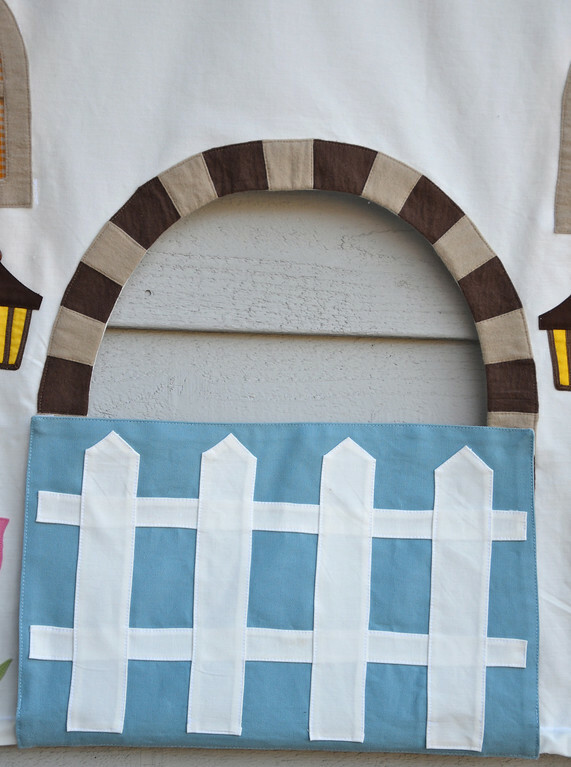 I'm thinking I would make mine to fit my little's bedroom door frame... Maybe even be happy with a little bit of a gather at each side so it could fit a doorway now and then later without too much gap when we have a hallway it would work in. I'm excited to try! Wow! Another winner! I love all the little details! Does the flag on the mailbox go up and down, too? This is brilliant! I've been reading your blog for a while now, but this is the first time I've commented. 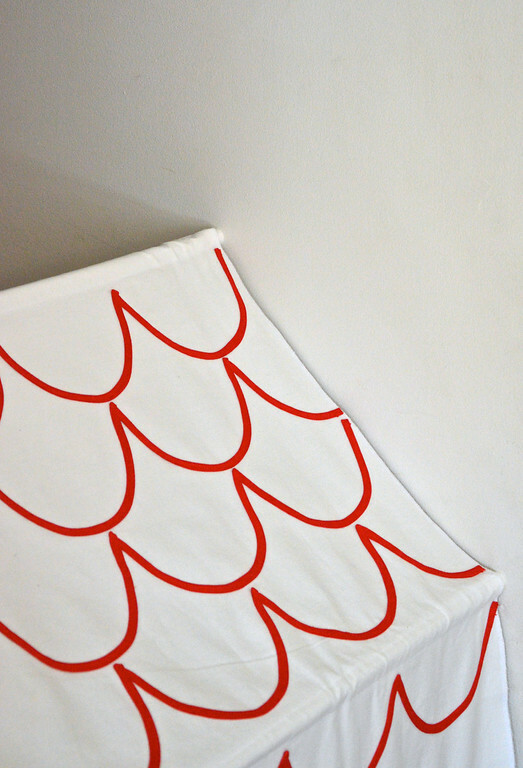 The thing I love most about this idea is that I can easily make it large enough to accommodate all 3 of my girls (ages 4-8) so that my oldest can still get in/out of it! Thanks for this clever idea! I love it! 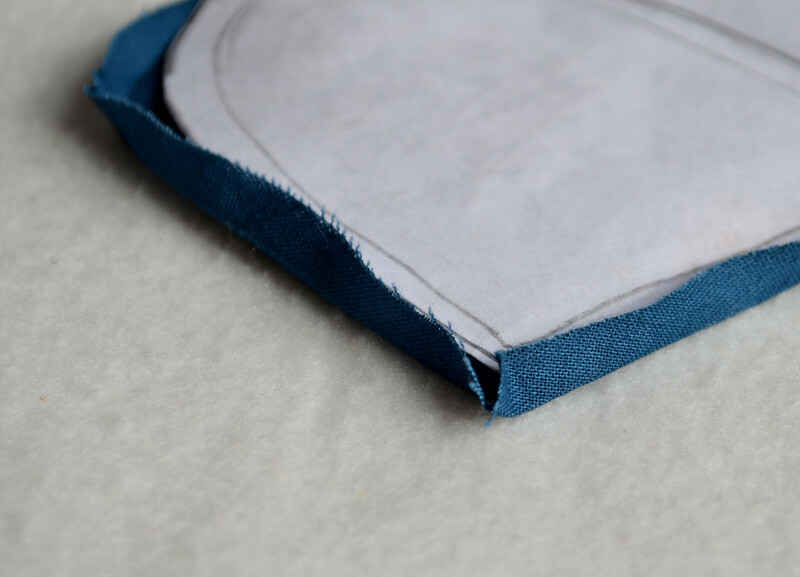 I'm not a super seamstress like you, but I can see painting some of the details to make it doable for me. Great idea! And your blog is wonderful, thank you for sharing your works! Ohhhhh! I just happened upon this on Pinterest! I LOOOVE it! I so want to make one for the Hooligans! Love your round table top tent too. I remember seeing that a few months back and drooling over it! Oh how I would love to live on your street. I found your blog a couple of years ago because of the princess pavillion and you never cease to amaze me. 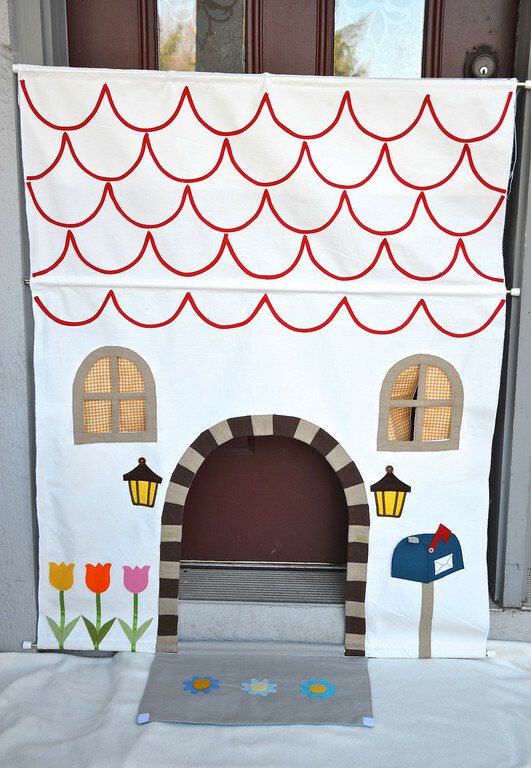 The stitching and details on this house are grand, I love how the mailbox opens. 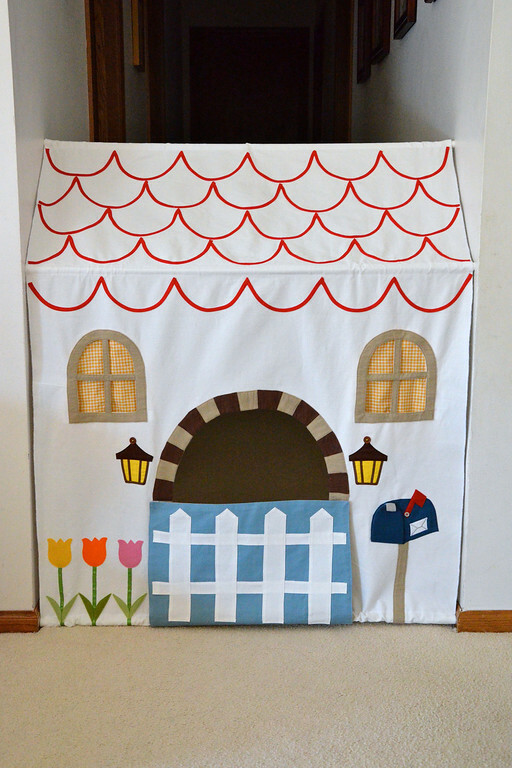 This is a playhouse I could manage to make! Brilliant - as always!!! Wow. This is pure genius. Love it! This is great! We don't have a lot of room in our house, so this would be perfect! All the little details just make it so perfect. I am head over heels for this- so awesome. I bet your children think they have the coolest mom ever! Oh, goodness ... this is adorable. You are SO clever! My kids would love this...I am in awe of your creativity and skills. I love this. I am going to use one image and link back to tell people how awesome your idea is! Not sure if the last comment went through. I love this and will be featuring your idea! 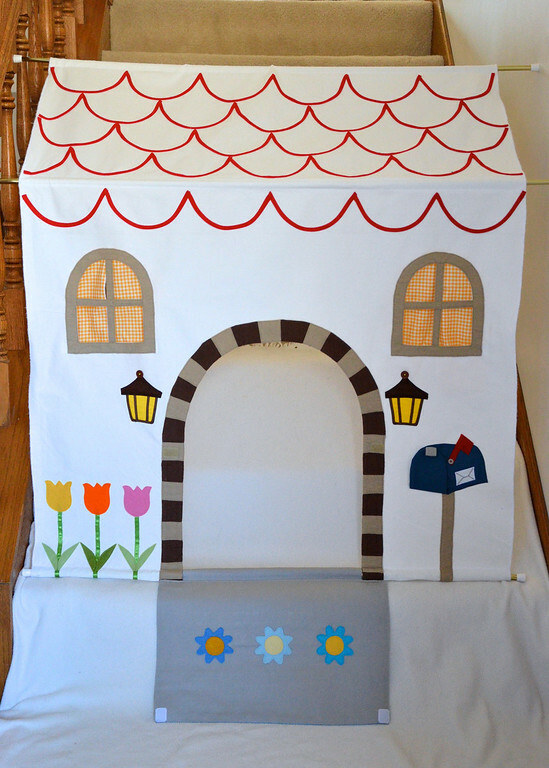 You know, with a big roll of white paper and masking tape, you could make a paper house and let the kids color with markers. 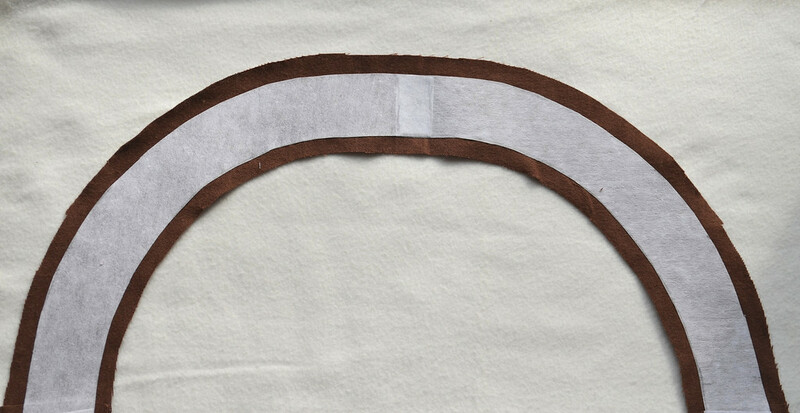 Just tape paper to the back to make the sleeves for the tension rods. Can't wait to get this going for my nephews - what a fantastic project! 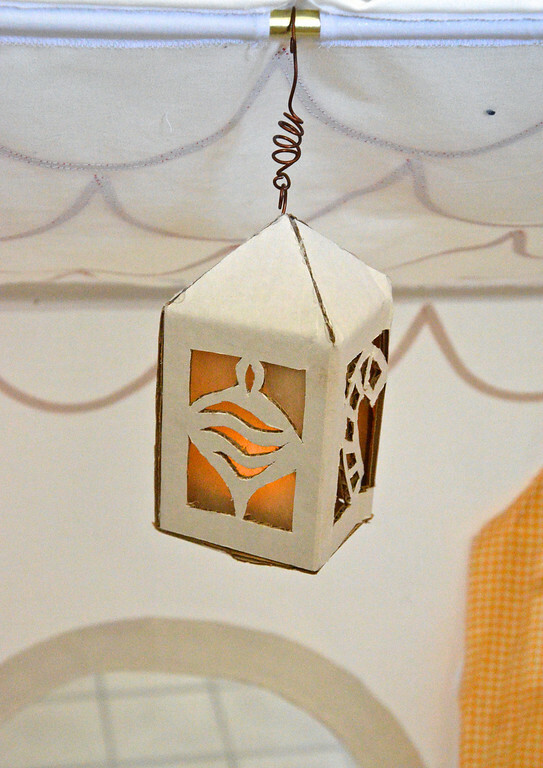 Hey Lier, did you know you were featured on the Craft blog today? it´s fantastic-awesome! a great idea! congratulations! Had to come over from Apartment Therapy to pass on a high five to you for this - it's absolutely genius & gorgeous! 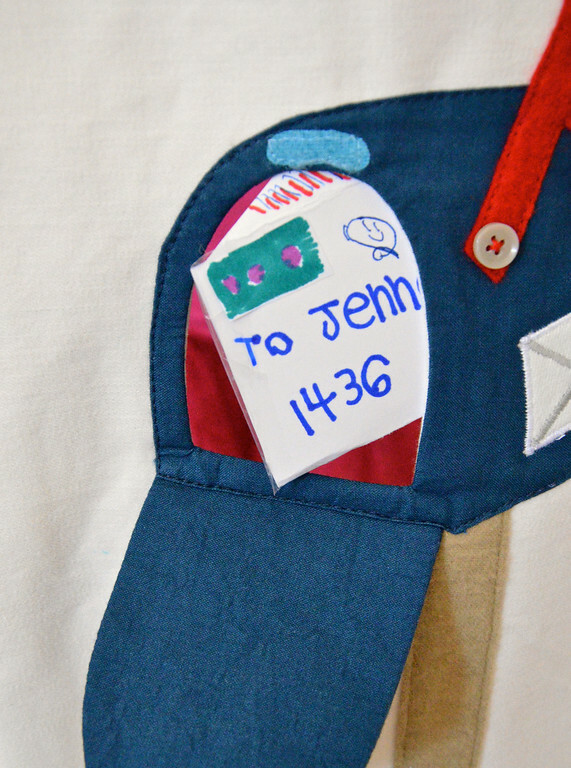 If I had any crafty skills whatsoever, I'd be whipping one up myself but instead I'll keep an eye on your blog & hope that someday you start selling them. WOW!!! Is all I have to say about your little homes! They are adorable! great to take with you babysitting. THEY LOVE IT!!! Oh my goodness!!! This is so cute! Great idea! 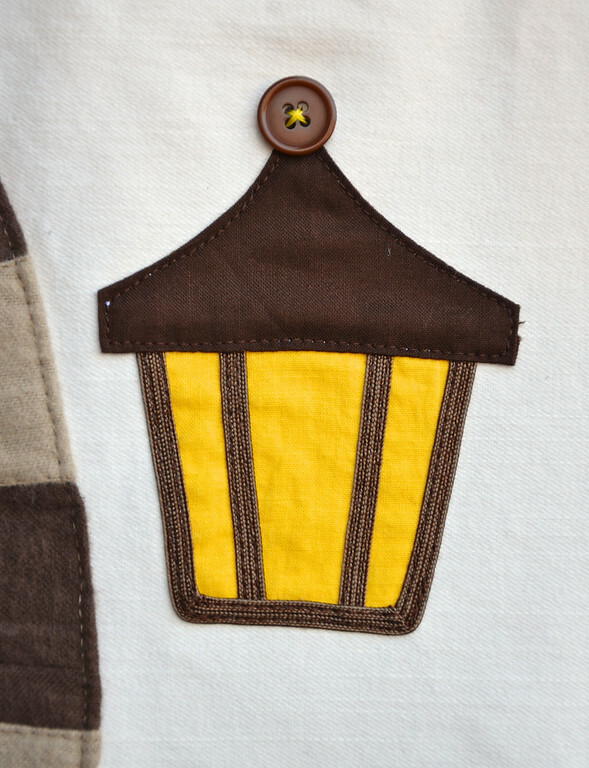 I have grey fabric in my stash, some little boy may be getting a castle very soon. Haha, LiEr, I just ran across this on pinterest and thought, oh my, that is the BEST idea EVER. Of course, I clicked through, and you made it. Of course! Why am I surprised? Excellent concept. Beautiful craftsmanship. It's an Ikatbag creation. wow i love this what is the nime of the Stick i am not from u.s.a i hope i will find it.amazing. Hi - they're called tension rods. I am in LOVE with this! You are so creative. I lack in my sewing...alot! Is there any chance you would consider making me one of these that I can buy? I know it didn't cost you much, but I am willing to buy one... Let me know if you would and how much you would sell it for of course including shipping...THANK YOU IN ADVANCE! Maritza from Chino, CA. 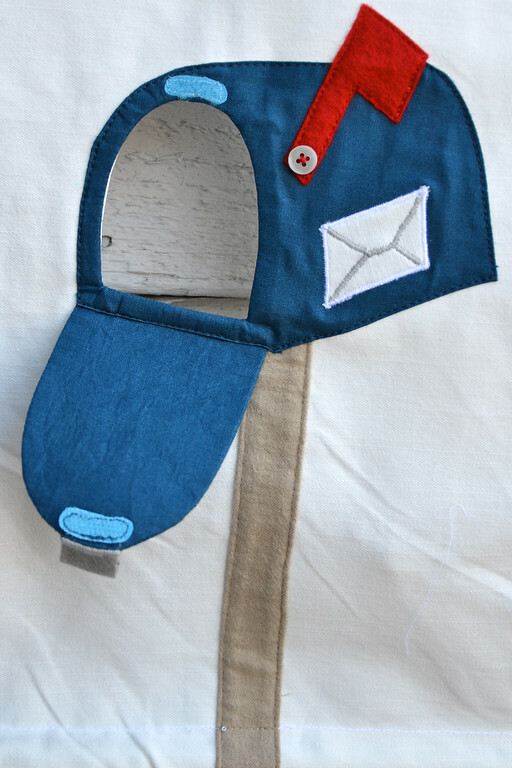 My email address is maritzam@bertolini.us.com - Thank you! 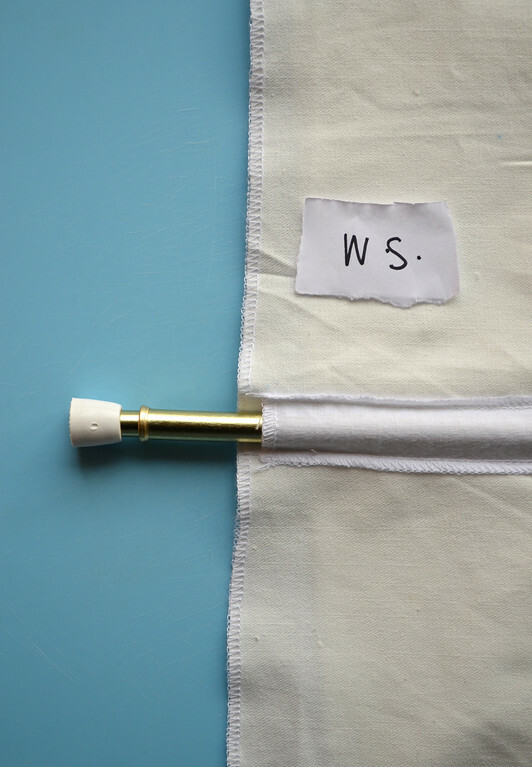 I love this idea but I'm thinking a plain colored sheet, some fabric markers and if you can't sew put up 2-3 tensions rods and toss the sheet over! It will still provide HOURS of play time. I can not wait for this weekend so we can do this together as a family. What a perfect idea. I made one of these for my son for Christmas. Thanks for the great idea! Your project is great! Thanks for sharing! I can make a puppet theatre out of this! How NICE of you to take the time to share your wonderful creation with everyone ~ down to each detail, through helpful photos and explanations. What a gift to all of us. Wow! Thanks for the great idea! 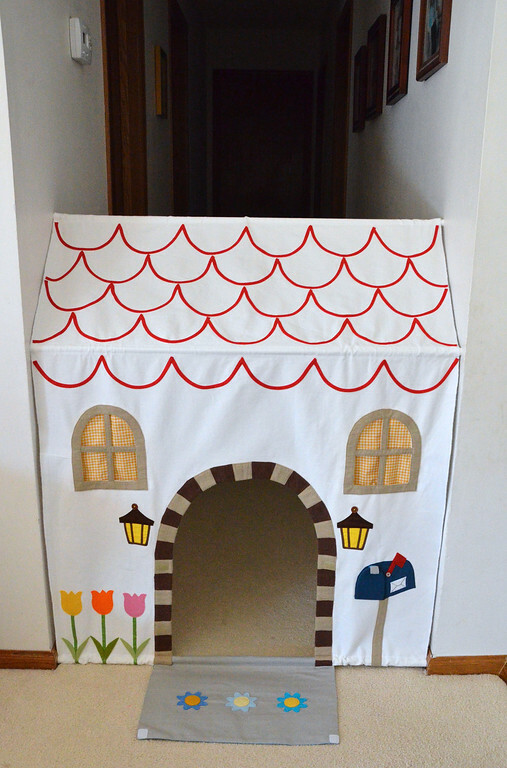 I am going to make a castle or hollowed tree version for my 2 year old son. Love it! Do you think I could use a twin flat white sheet? too big? This would be perfect for my hallway when the small grandchildren are visiting. They would love it. Thanks for sharing. What a fantastic project! I love that you can easily put it up and then put it away! I bet your daughter loves this. Pinning. What a wonderful idea. Thanks for sharing all of the details. I just discovered this via Pinterest, but oh how I love it! 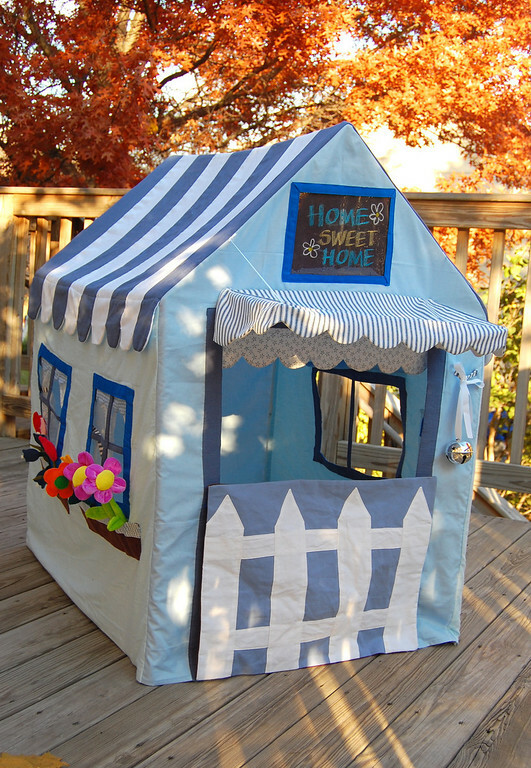 This is so perfect for our house since we live in a small condo and have no room for a playhouse that stays up all the time. Amazing creativity! I will have to stash away this idea for a few years down the road when my kids are old enough. This is such a cute idea! I think the rods would work well for a puppet theatre, also. 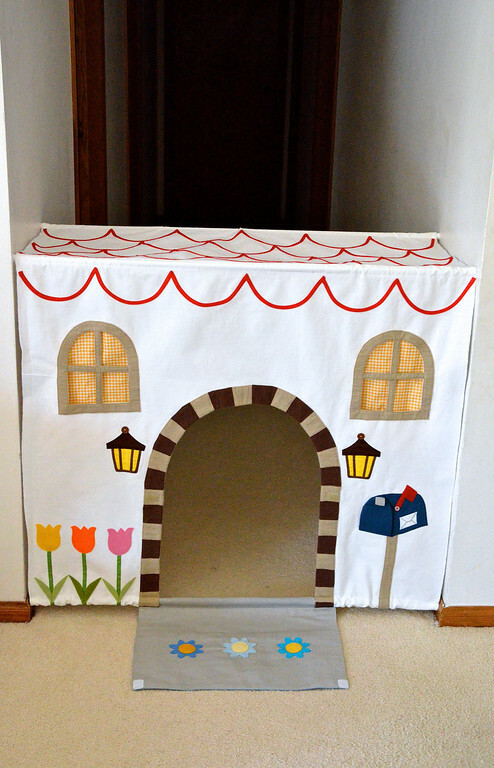 If you happened to have an empty closet (right, I know) it would be ideal for a puppet theatre. 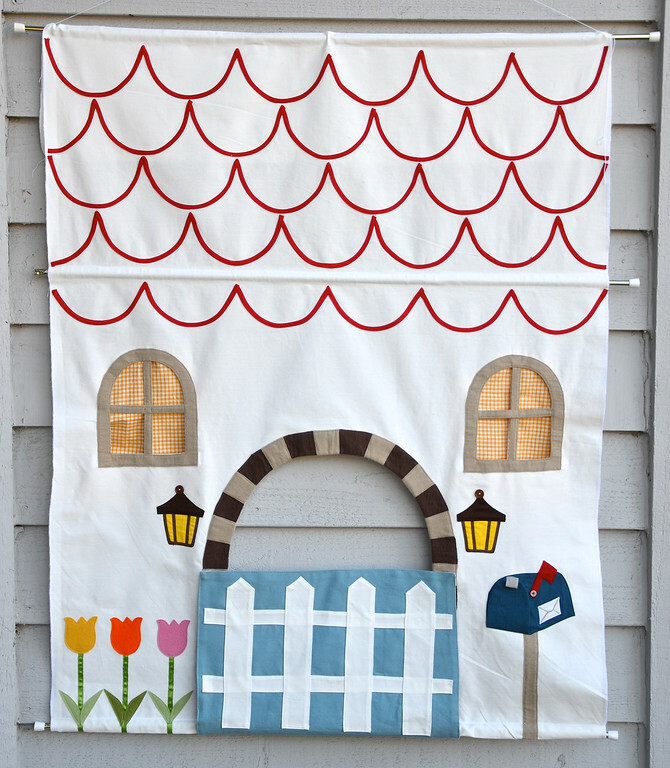 Do you decorate the other side to hide the seams from the mailbox etc.? Just wondered if you had any ideas about that..to .make the other side look just as pretty! 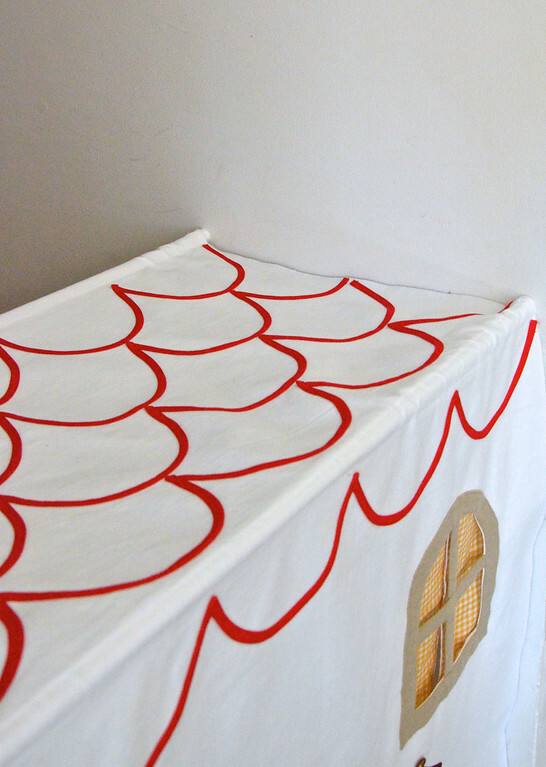 This project is so darn cute and a very practical idea for those that are short on "play" space!